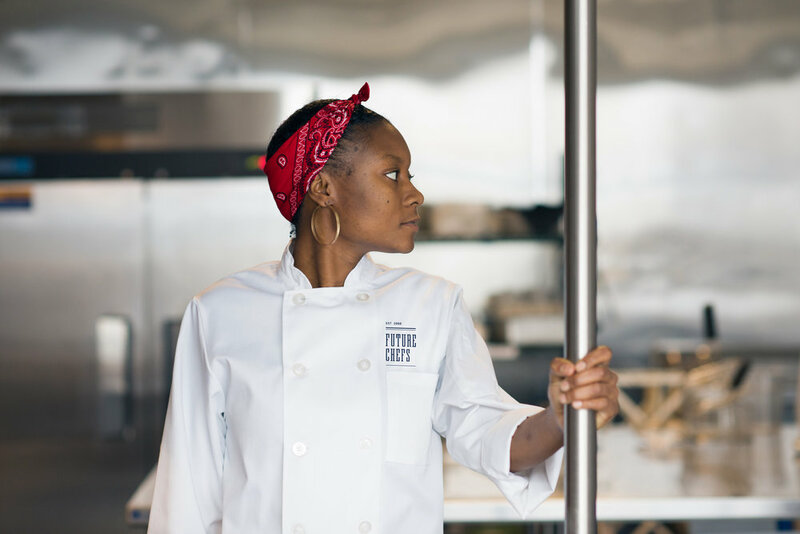 Future Chefs is a Boston nonprofit that empowers high school students through after-school programs and apprenticeships. The new identity gives visual expression to the bold and relentless organization—characterized by a strong and supportive community, a rigorous and professional work ethic, and a space to imagine and dream big. 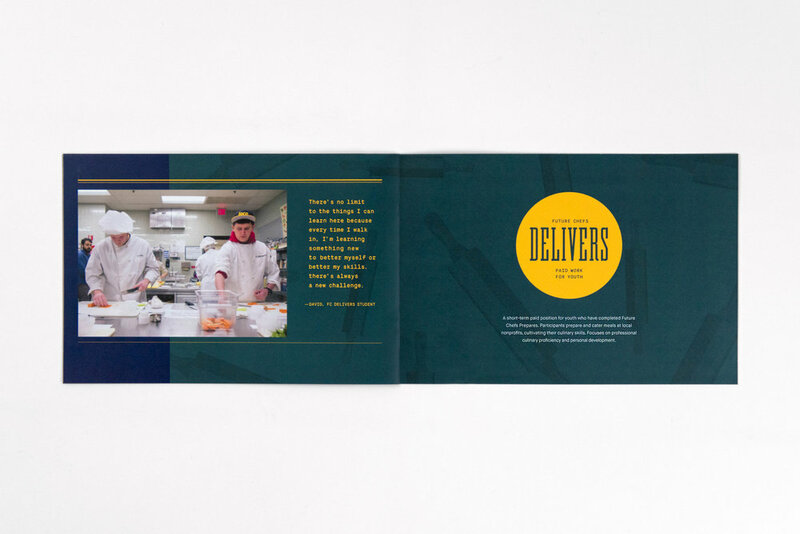 Inspired by Boston’s industrial typography and the lines seen on recipe notebooks, the design is simple and contemporary, evoking an elevated restaurant where precision and personality are served in equal measure. The visual identity process often involves rigorous self-analysis and organizational rethinking of how programs are communicated to new audiences. 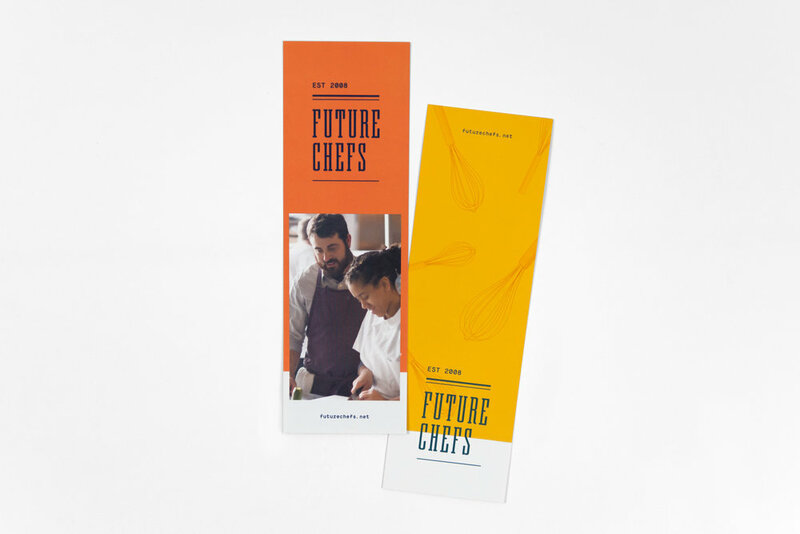 Our work with Future Chefs inspired conversations within the nonprofit that led to new structure and naming for their programs, reflecting a professional ethos and connection to culinary arts: Future Chefs Prepares, Future Chefs Delivers, and Future Chefs Sustains. This decision energized students and staff, reflecting a more mature identity while maintaining the warmth and spirit of the organization.